So here’s why I like ChinesePod for studying Chinese: because it is keeps the ma’fan to a minimum. I was a Chinese studies major in college and grad school, have done language programs and private tutors along the way. It is really refreshing to have a realistic dialogue flush with useful vocab in PDF and audio form that you can have and listen to FOREVER. Conversations are ultimately the best way to keep up Chinese skills, but it is great to have this on the side. And no, I am not being paid to post this. Producer David Liang combines 1930s Shanghai Jazz bands with Western electronica and hip-hop sounds. See The Shanghai Restoration Project’s website for more. 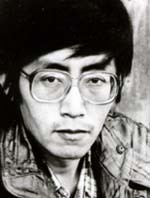 Bei Dao was one of China’s lead Misty P oets during the 1970s, and was exiled after the Tiananmen Incident for his youth-inspiring poetry. As the topic of my thesis, I have gotten to know him in book and in person over the past few months. He is currently living in Hong Kong, a professor of Chinese literature at Chinese University. He is the kindest person you’ll ever meet. You can check a few high-quality translations by Clayton Eschleman and Lucas Klein at inTranslation. They have recently published a book of translated Bei Dao works, Endure. “你不懂中国”- “You don’t understand China” is possibly the most frustrating thing to be told — especially knowing that what they mean is, “You can’t understand China because you aren’t from China.” Check out this article followed by a bilingual discussion on this topic. I wish I had been made to read this in 3rd- or 4th-year Chinese. 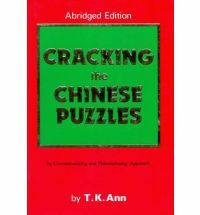 But no matter – this book has much to teach any level of Mandarin learner. It breaks down the component parts of thousands of characters and explains what it means. So 然 is flesh + dog + fire = a dog being sacrificed by fire, which is the correct thing to do, and thus it means correct. At Aspen: Former Secretary of Treasury Henry Paulson Henry Paulson also discusses China and the future of US-China relations. If you want to cut to the meat of his talk, go to minute 24 (or so), when an audience member asks “Why did Google leave China?” The question is of great symbolic and literal importance, and his response is eloquent and accurate. This is how the candidates in the 2012 election should be talking about China, and how American citizens should be thinking about the Chinese government (i.e. not the boogeyman). This book is one of the first Chinese novels I’ve read in full in Mandarin, and on many levels struck a personal chord. 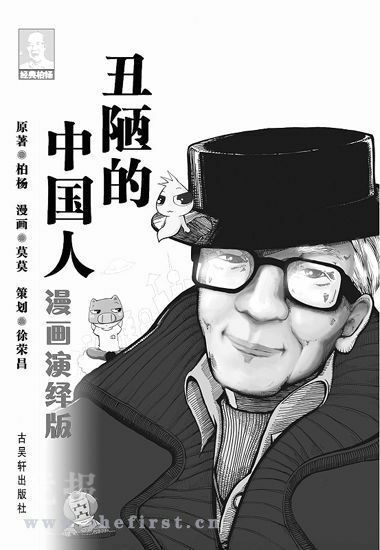 Published in the 1980’s, it is a collection of speeches by the recently deceased Taiwanese author Bo Yang. He says all those things about Chinese people/culture that foreigners in China think but cannot say without being labeled a raving backward racist (again, cue common’s dean’s office detention), but with an added layer of analysis and much more potency given its Chinese origin. I have nothing to say in the way of endorsing or rejecting his opinions, but I will say that this is a great resource for students of Chinese culture. It reveals and suggests much about Chinese self-imaging, and also left me wondering about the Taiwan/China culture divide. It can be found in English, but of course original Chinese text is better. Be sure to have your Pleco handy for all the chengyu’s! See New York Times article about Bo Yang. This has nothing directly to do with China, is my favorite commencement address I’ve thus far heard. And then read Jonathan Franzen’s books. Good God.